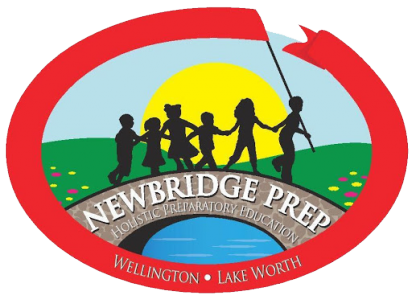 "Your Child's Bridge to a Successful Future"
Newbridge Prep of Wellington/Lake Worth offers a safe, nurturing, and developmentally appropriate environment for children ages two through five. At Newbridge Prep, we are much more than a child care center. We are a state of the art preschool where students actively participate in a holistic preparatory education program that focuses on their emotional, social, physical, and cognitive development. The Newbridge Prep Philosophy is that all children can and will succeed. The Newbridge Faculty works diligently to create a positive environment that enhances children’s self confidence and empowers them to succeed. Newbridge students genuinely develop a love for learning through hands-on, engaging activities that keep them thirsting for more. At the conclusion of their journey at Newbridge Prep, our students are wonderfully prepared for a bright and successful future. Please visit us on Facebook and Instagram @newbridgeprep, and check out our Google / Great School reviews to learn more about why you’ll want your family to be part of the Newbridge Prep family!